16 years later, Dillman was diagnosed with prostate cancer, and then seven years later, throat cancer. The National Institute for Occupational Safety and Health (NIOSH) published a report in 2013 saying that firefighters are at higher risk for cancer than the general population. They have a 9% higher risk for a cancer diagnosis, and a 14% higher risk of dying from cancer. (First Responder Center for Excellence) The report found that firefighters are more likely to be exposed to cancer-causing contaminants, like asbestos in old buildings, and diesel exhaust from fire trucks. 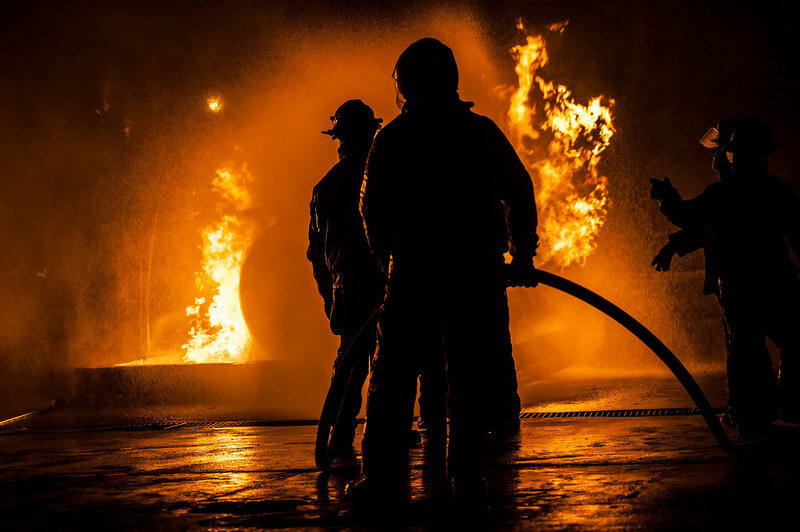 These laws presume that a firefighter diagnosed with cancer while working, or within a certain amount of time after retirement became ill because of their job. These “presumptive laws” make it easier for firefighters to get workers’ compensation, disability benefits or death benefits for their families. Unfortunately, it seems that these laws are not being adhered to. Firefighters are still being denied workers’ compensation after a cancer diagnosis. Presumptive laws differ from state to state. Some only cover certain kinds of cancers. Some limit how long after retirement a cancer diagnosis is covered. Jeffery Burgess, an environmental health researcher says, “…cancer can develop anywhere from less than five years to over 30 years” after exposure. Some states only provide coverage up to five years, and one state only covers cancer for up to three months after retirement. Some states want information on the specific fire that caused the cancer. Firefighters don’t usually keep records of this. Dillman says firefighters need to focus on preventing exposure, by wearing protective masks (which was not standard practice when he was fighting fires), and practicing other preventative cancer measures. The Law Offices of David L. Hood have been fighting for the rights of injured workers in North Myrtle Beach, Myrtle Beach, Murrells Inlet, Georgetown, Charleston and all across South Carolina for over 25 years. We have a dedicated team that will strive to take care of your claim professionally and treat you with respect. Over the years we’ve represented hundreds of injured workers and their families, working hard to get them the medical treatment and compensation they deserve. To learn more about what we can do for you, contact our offices to set up a free initial consultation. If you choose to work with us, we will handle your case on a contingent fee basis, which means you pay nothing unless we make a recovery for you. To get in touch with us, you can call our offices at (843) 491-6025 or email us here.